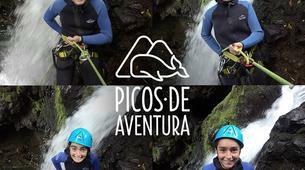 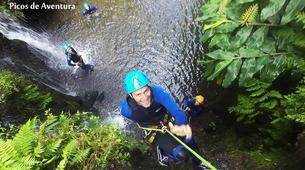 Are you visiting Sao Miguel and you're looking for adventure? 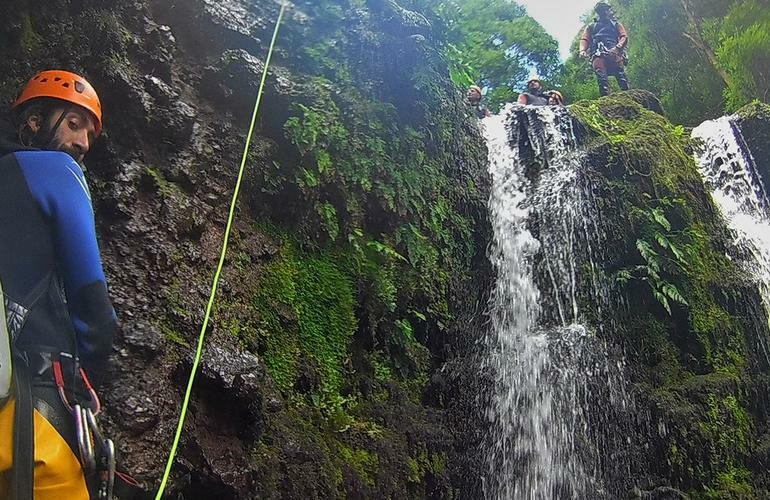 There's nothing more exhilarating than a full day of canyoning in the blue waters and the green forests of the island. 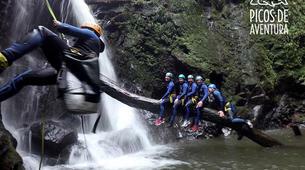 A fun activity for both sporty and not so sporty types who just wanna have fun. 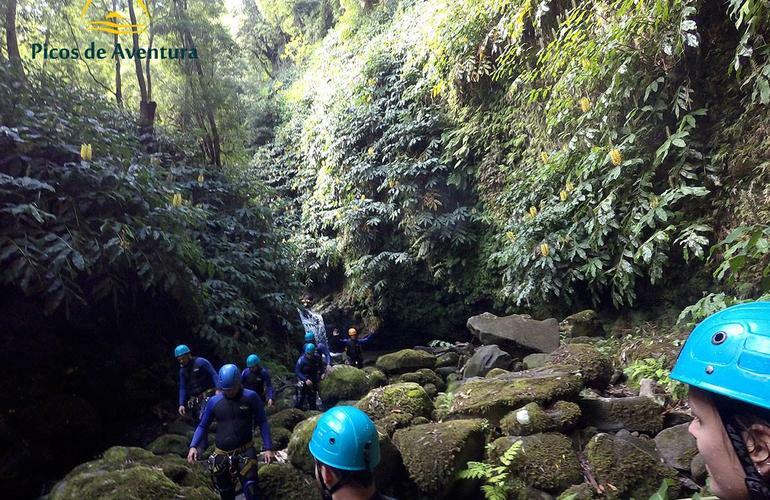 The interior of São Miguel hides waterfalls and streams that you can only explore actively with canyoning. 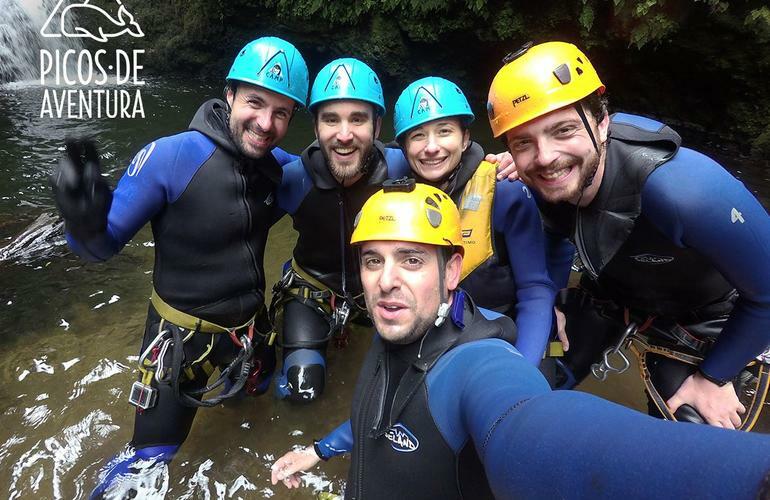 Walking down the river, abseiling, jumping into crystal clear water pools, gliding between rocks shaped by the flow of the stream and challenging the waterfalls flowing from the top... these are the ingredients for memorable moments of canyoning! 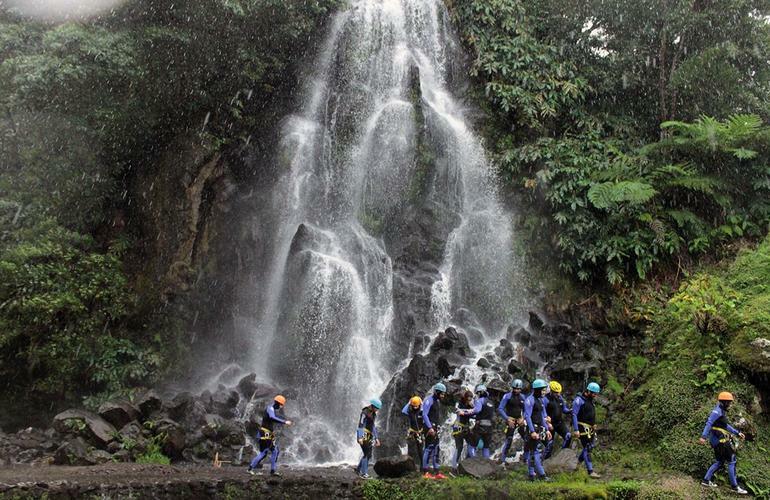 The activity starts with the equipment distribution to participants, followed by a walk of 30 minutes, until the entry point in the stream, where the safety briefing takes place. 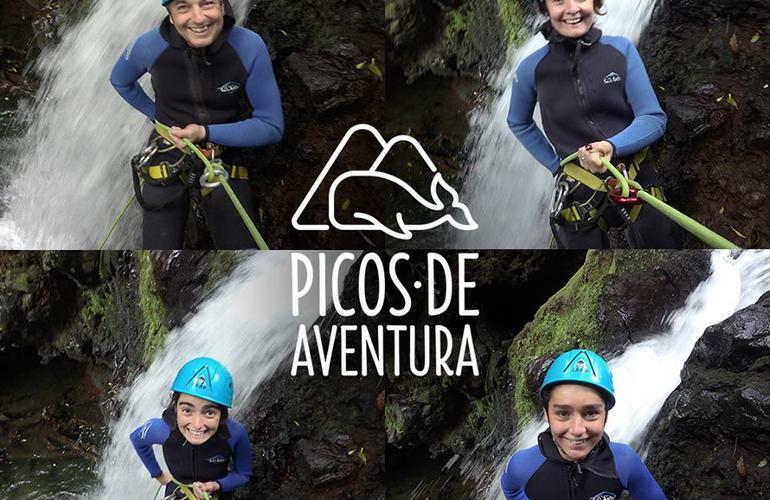 This canyon offers you the chance to experience a sequence of 3 vertical obstacles (waterfalls) that you will descent by abseiling (highest waterfall with 10 meters), alternating with small sections of walking. 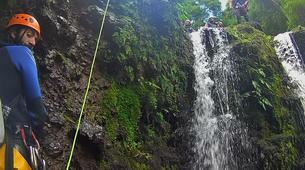 Get ready to get in touch with nature and feel the waterfalls splashing their crystal clear water. 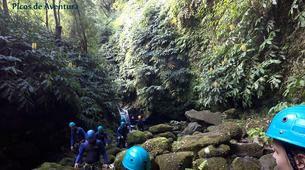 The area is surrounded by lush vegetation there you will find an old hydroelectric plant. 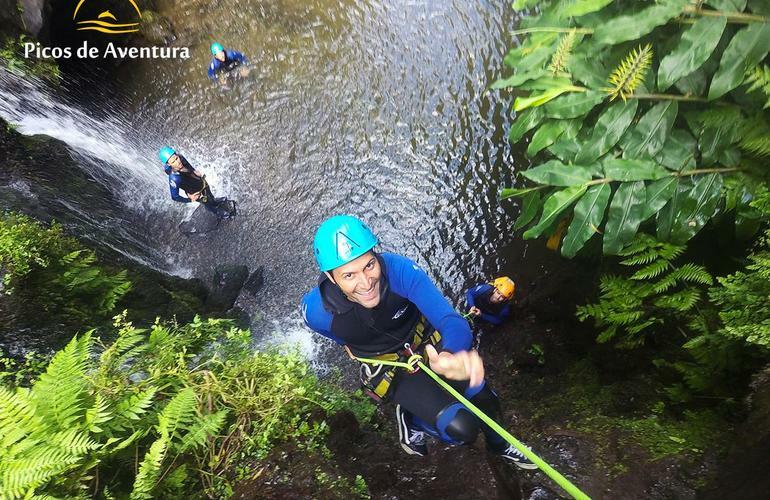 After a short stop for picnic in the middle of the stream, you will find a deeper canyon, higher waterfalls that finish in the well-known Salto do Cabrito waterfall. 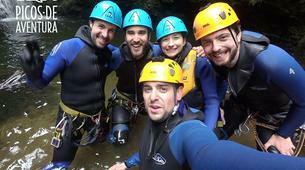 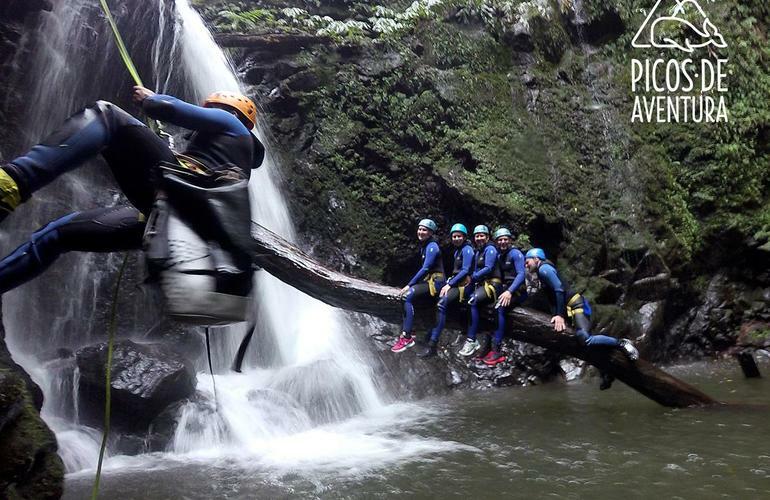 Feel the adrenaline and fun while canyoning in Sao Miguel, in a genuine water park created by nature. 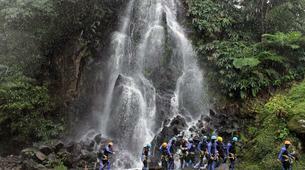 Difference in altitude: 115 m.
Waterfalls of up to 15 m.
The activity is subject to change depending on the weather.